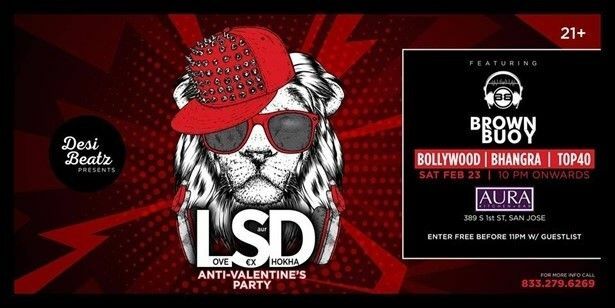 Please note LSD : Anti-Valentine's Bollywood Party! occurred in past. 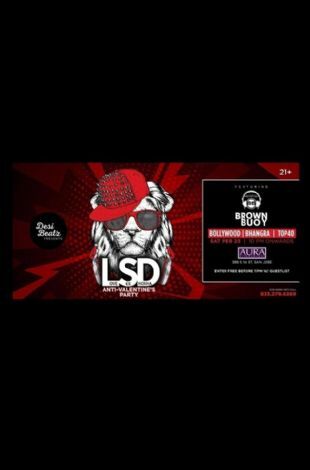 LSD (Love, $ aur Dhoka) : Anti-Valentine's Bollywood Party! Whether you are looking for love or just want to have some fun! Having a Twist on Cupid's Classic Week by partying with un-attached friends, crushes or dates on this Valentine's WEEK with Desi Beatz.